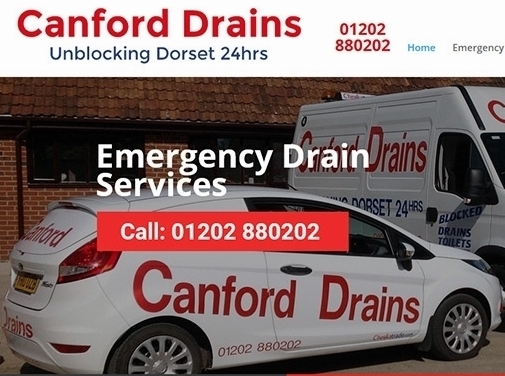 Canford Drains are an emergency drainage company based in Wimborne, Dorset, providing drainage services throughout the Bournemouth and Poole area. Canford Drains can provide Homebuyer and CCTV drain surveys in Bournemouth as well as drain repairs and flood prevention services. Septic tank emptying is also offered. UK (Wimborne, Dorset) based business - with over 25 years' experience - providing drainage services. Website includes details of services provided, work examples, testimonials, associations, full contact details. Website has been online since 2012 according to web.archive.org.